This year’s SBK World Superbike Championship will have a double treat as not only will they be able to see their favorite two wheel drive beasts a full chat but also they’ll have a shot at seeing a great looking four wheel vehicle. 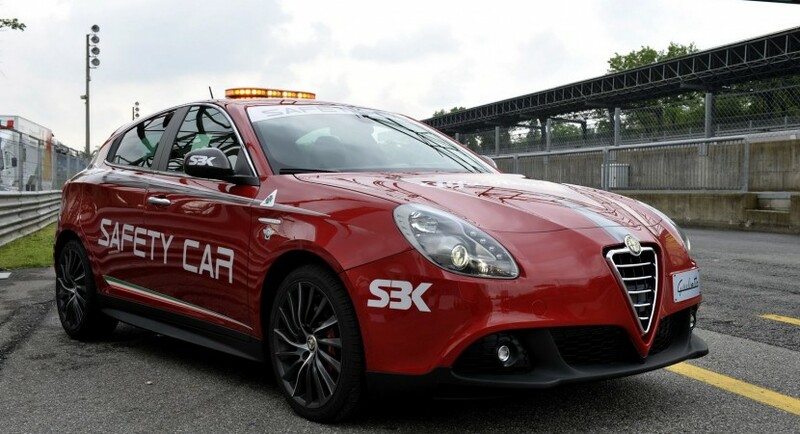 I’m talking of course about the gorgeous new Alfa Romeo Giulietta which will feature as a safety car for the races included in the tournament. The Alfa Romeo Giulietta Safety Car is based on the top of the line version of the sublime Italian hatchback, the model called Giulietta Quadrifoglio Verde. Rather interestingly the car is propelled by a one and three quarter liter engine. Turbocharged. The 1.75 liter four cylinder turbo engine is providing an output of 235 horsepower. The before mentioned “heart” will pump enough blood to the road to get the production car from 0 to 62 mph in 6.8 seconds and on to a top speed of 151 mph. The safety car will probably be faster but not much more is expected. 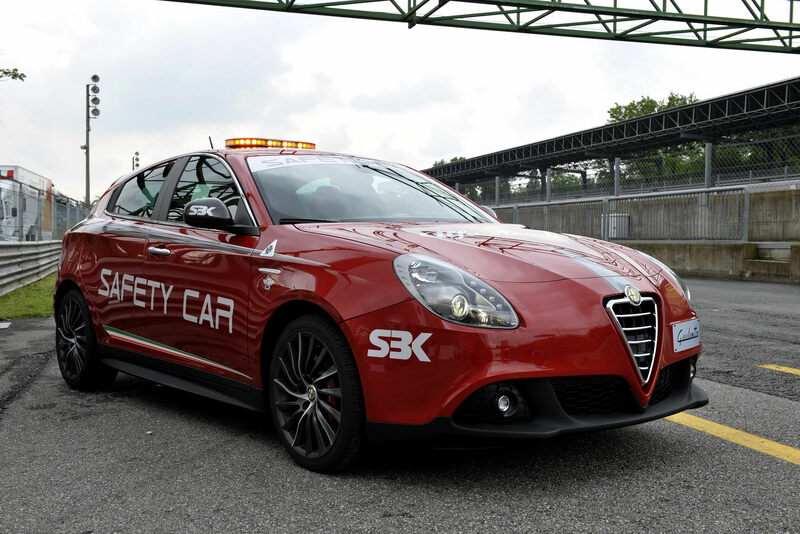 Alfa Romeo themselves haven’t published much information on the new safety car but it most likely feature the addition of the usual radio and monitoring equipment for cars that end up doing this job. The warning lights are already there. This car looks amazing!!! I love the new Alfa Rommeo Giulietta, I think its performance it is really good, I took it for a test drive last month, and I loved it!! I am thinking in buying it.